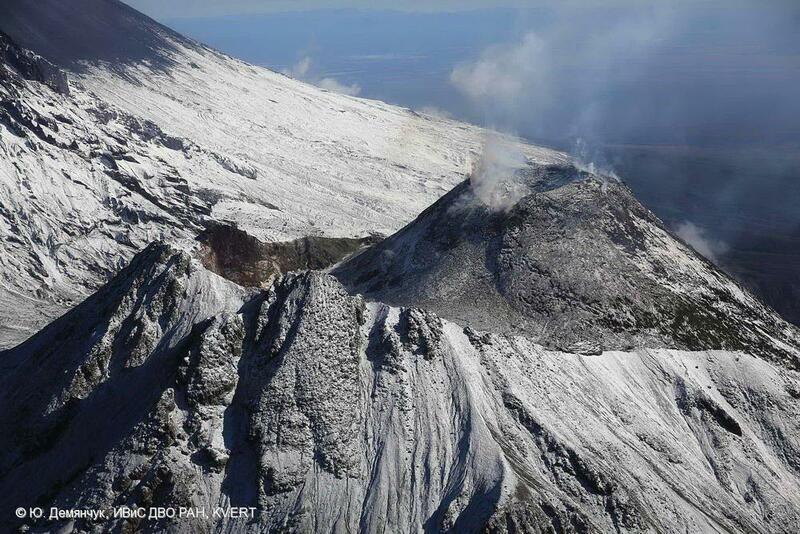 An eruption at Bezymianny Volcano in Russia has contributed to flight delays and cancelations in the Aleutian Islands. Volcanic eruptions on Russia's Kamchatka Peninsula have delayed and canceled flights in the Aleutian Islands over the last several days. Bezymianny Volcano exploded Friday, throwing ash 50,000 feet into the air — some 1,300 miles from Unalaska. Meanwhile, Sheveluch Volcano has remained restless since an eruption last month, with a growing lava dome and continued ash emissions. All that activity has generated international flight warnings, according to Dave Schneider of the Alaska Volcano Observatory. "The volcanoes on the Kamchatka Peninsula are some of the most active in the north Pacific," he said. "The recent eruptions there are pretty typical. What can happen is the drifting ash cloud — since the wind is typically from the west — can blow over Alaska airspace." While that cloud could endanger planes traveling in the region, Schneider said he expects the threat to pass quickly as ash dissipates. Unalaska's flights resumed Sunday after all were canceled Saturday. Alaska’s largest regional airline now flies to the Pribilof Islands. Ravn Alaska’s Dash-8 aircraft has been approved by the Federal Aviation Administration for over-water flight -- a certification the carrier has pursued since late 2018. The 29-seat planes will provide thrice weekly service between St. Paul and Anchorage, with a refueling stop in Bethel. Ravn officials say the Dash 8’s configuration will allow for “additional capacity for freight, mail, and baggage” compared to the Saab 340 it’s replacing. In 2018, Ravn Air Group purchased PenAir — the carrier that's long served as the primary connection between Anchorage and the Aleutian-Pribilof region. For months following the buy-out, Ravn Alaska declined and did not respond to interview requests. But this month, KUCB's Zoë Sobel finally spoke with Chief Commercial Officer Derek Shanks to learn why the carrier wants to expand in Southwest. Thanks to a new direct flight, Unalaskans are bringing food and clothes to their northern neighbors on St. George Island, some 200 miles across the Bering Sea. The community of 60 people has already received dozens of boxes filled with canned goods, winter clothing, and spare blankets. "I can't thank the people enough in Unalaska/Dutch Harbor for caring about us," said Mayor Pat Pletnikoff of St. George. "It's pretty amazing."